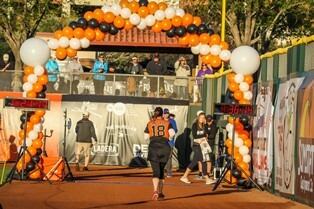 On February 9th and March 2nd, I want to cross the finish line like this: Big Smile, Team Orange! 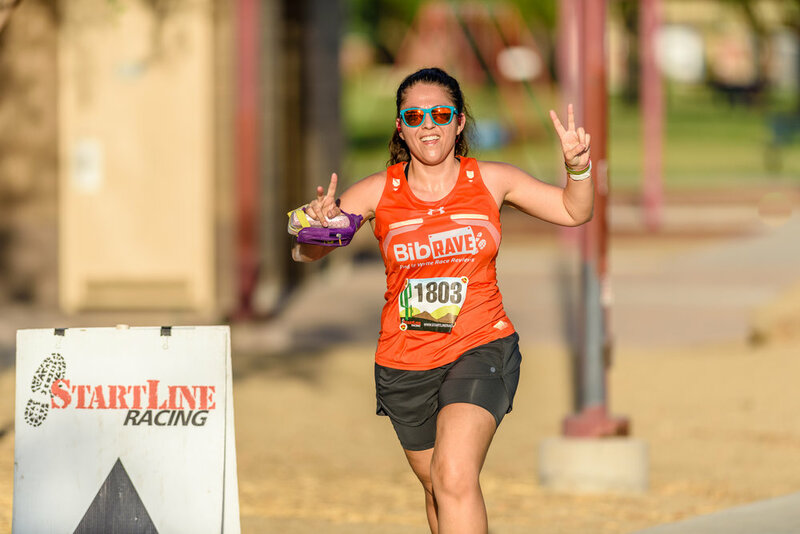 Disclaimer: I received free entry to Scottsdale Giant Race as part of being a BibRave Pro. Learn more about becoming a BibRave Pro (ambassador), and check out BibRave.com to review find and write race reviews! The MESA-PHX Half Marathon is 6 days away and already I have my eye on a new goal: PR my 5k. For the past 16 weeks I’ve been in half marathon training to hit a 2:10 finish time on February 9. While on this training plan I was able to PR my 10k by 67 seconds on a hilly course at the Rock ‘n’ Roll Arizona! Yes, I’m nervous about my half marathon, and also excited to see if my training will take me to PR 6 minutes from my last half marathon time. Once this half is over, my long run training season will be over. Summer will be here in no time and the heat in Phoenix is relentless. I decided to now focus on shorter distances, speed and I’m going to train to PR my 5k. I’ve ran the streets around my work office. It is not hilly. Thank goodness! The people behind the Scottsdale Race did have the course maps online, but they didn’t show elevation. Quickly through Strava, I mapped out a route and discovered the elevation gain is only 18ft! This gives me all the confidence I need to PR this race. The route of the Scottsdale Giant Race 5k I mapped out on Strava. Orange is one of the San Francisco Giants main colors. Orange is the main color of BibRave. Orange is the new fast considering the Giants won 8 World Series and that BibRave is the #1 pace to find race reviews quickly. Do you see where I’m going here? So it’s pretty much inevitable that I’ll be running super speedy at this race because I’ll be rocking my BibRave Pro singlet. Orange is the new fast! It’s been three years since I crossed the finish line on a major stadium field. It was at the 2016 Pat Tillman race at ASU main. The experience was exhilarating! All the screaming people, sports players, balloons, flags. Now I know another reason athletes want to go into pro sports: the field is like a stage! Pumped to get those goosebump feels again. 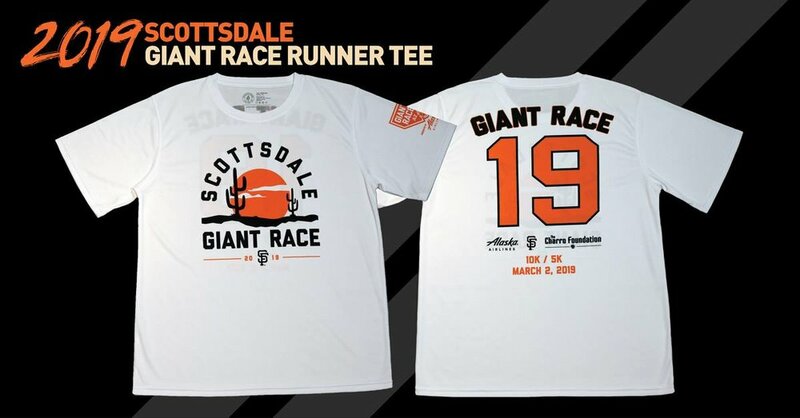 Come run fast with me at the Scottsdale Giant Race! BibRave is offering $10 off the 10k or 5k registration. Apply code WERUNAZ19 at checkout. I’ll be keeping everyone updated on how my 5k training plan is going. It will start the week of February 11, just 3 weeks prior to 5k race day.